When you want the best, call our interior painters at Prep-Rite Painting. Renovations and upgrades can improve the appearance of your space while adding value to your property, but some options are much more expensive than others. 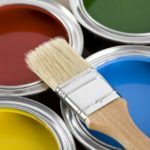 One of the most budget-friendly ways to update your home or office building is to apply a fresh coat of paint to the walls. You can choose from hundreds of colors to create an atmosphere that benefits the functionality of the room. For example, shades of blue and green can offer a calming effect in a bedroom, while a bright shade of yellow can inspire creativity in an office or kitchen. You can also stick with neutral shades if you prefer to add color with décor. Painting your interior might not seem like it will be too challenging, but it can take quite a bit of time. Preparing the room for the paint is often what takes the most time, especially if you’re not familiar with the process. At Prep-Rite Painting, our team of interior painters can take on the job to provide an efficient process with high-quality results. We specialize in interior and exterior painting, so you don’t have to worry about whether the finished product will look professional. In fact, we’re so detail-oriented and dedicated to perfection that we’ll do a final walkthrough with you to make sure you’re satisfied with every square inch of the walls. Our interior painters offer service in Cary, North Carolina. We use high-quality products and equipment to ensure a professional and uniform appearance. When you want the best, call the interior painters at Prep-Rite Painting.